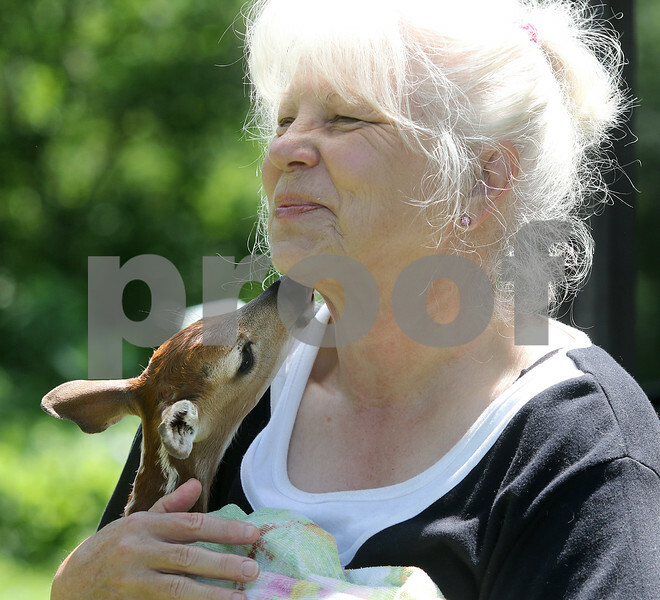 Kathy Stelford owner/founder of Oaken Acres Wildlife Center in Sycamore with a fawn at the center Friday, who was born after her mother was killed by a car in Naperville on Monday. The fawn was born with a broken leg from the impact of the vehicle while still in utero. Naperville Police Officer Matt Minuth was present for the delivery and wrapped the fawn in a blanket and placed it in his squad car. Naperville Animal Control brought the deer to Oaken Acres.